The innovative digital shower range from Bathroom Brands offers the ultimate shower experience. 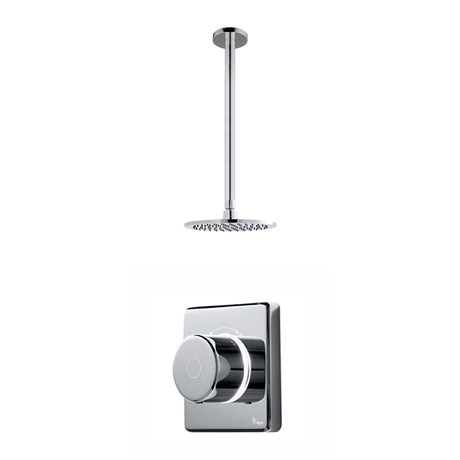 Ideal for the modern bathroom, this Contemporary 2025 single outlet digital shower set with ceiling arm and 200mm round fixed head features an understated, minimalist design, with high quality metal controls and a chrome plated trim. With other intuitive features such as a safety automatic shut off, colour-changing controls that lets you know when your shower is ready and a built-in thermistor that checks the temperature 10 times every second making sure it stays constant. Overall this digital shower offers total safety and easy installation and maintenance.